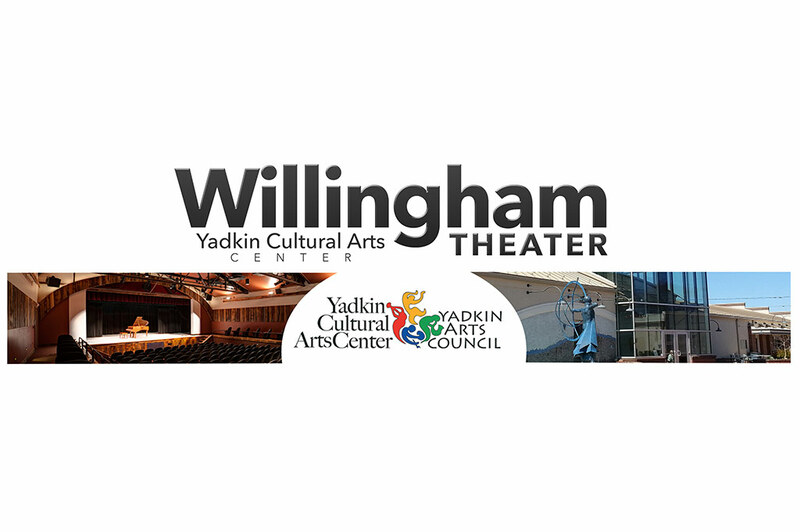 Combining big city excitement with small town charm, the Yadkin Cultural Arts Center and Willingham Theater has announced a Winter/Spring series full of excitement and variety. On January 31, University of North Carolina School of the Arts’ School of Drama will present the Pulitzer-prize winning play, Angels In America: Millennium Approaches. 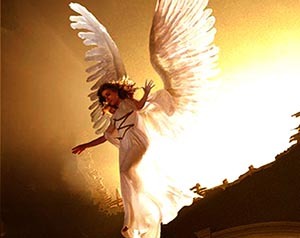 Written by Tony Kushner, the plot of Angels is driven by two couples and underscores the politics of the Reagan era, AIDS and apocalyptic visions. Tickets are $10. On February 14, the Willingham Theater will celebrate its third anniversary with a very special Sweetheart Gala. 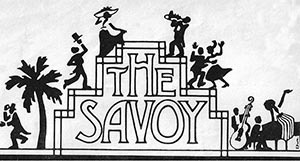 This event will include a romantic wine dinner in the Third Branch Café followed by a special performance of Stompin’ at the Savoy. Tickets for this event are $60. 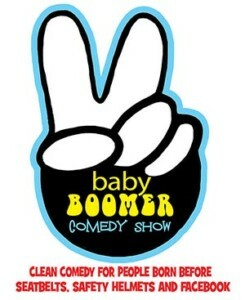 On March 7, get ready to laugh with the Baby Boomer Comedy Show. 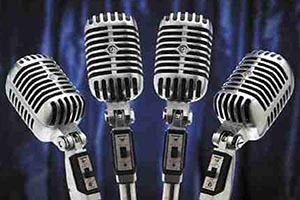 This 90 minute family-friendly comedy show by veteran comedians and fellow Baby Boomers Jan McInnis and Kent Rader is full of classic topics like family, kids, work, do-it-yourself projects, dieting, aging and grandchildren. Tickets are $16. Enjoy the doo-wop sounds of The Cardigans on March 20 and 21. The first and original male sequel to The Taffetas, The Cardigans hail from Wooster, Ohio – the College of Wooster, to be exact. Chuck, Frankie, Johnny and Buddy have just graduated and are leaving their pals at Alpha Mu Phi Pi behind to embark on their first live personal appearance tour. Tickets are $16. On April 4, Beginnings and Endings, a unique two-person performance by Matthew Bulluck and Caroline Kava, Associate Professors of Acting in the School of Drama at UNCSA, will debut. 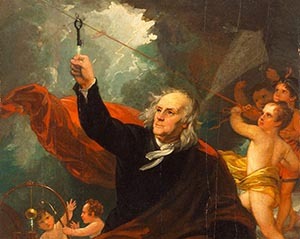 It is comprised of three short plays on the unrelated themes of a woman’s spiritual quest, the life and writings of Ben Franklin, and a memorial. Tickets are $16. Get lost in a fairytale on April 18 with the Greensboro Ballet’s presentation of Snow White. Beloved by all except her evil stepmother, Snow White is tricked into the forest, where she finds shelter and friendship with dwarves in this amusing version of a classic fairytale. Tickets are $20 for adults, and $12 for children 12 and under and seniors 60 and up. To wrap up the season on May 9, Creole Stomp will bring some of the best Louisiana music you can find without a trip to the bayou. Creole Stomp has captured the ears and the feet of Louisiana music fans across North America. This fun and talented group keeps listeners enthralled and dancers in motion with a rollicking mix of contemporary blues, swamp pop and traditional Cajun and zydeco music. Tickets are $20. The Third Branch Café is always open for dinner before evening performances so ticketholders can have a delicious meal just outside the theater doors and never miss a moment of these exciting performances. 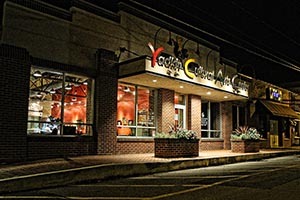 Reservations are encouraged and can be made by calling 336.677.6006 or by emailing tbcafe@yadkinarts.org. This year brings two season ticket options for patrons. The “Traditional Season Ticket” will include all six series performances, free admittance to Angels In America and preferred seating for just $100. The “Golden Season Ticket” includes everything the “Traditional Season Ticket” offers plus admittance to the February 14th Sweetheart Gala for only $140. Tickets are available online at yadkinarts.org/explore/event-ticket-marketplace/ or by calling 336.679.2941. The theater accepts all major credit cards, checks and cash. Performances often sell out quickly so be sure to get tickets early. The Yadkin Cultural Arts Center is located at 226 E. Main Street in Yadkinville. Café hours are Monday through Friday from 7 a.m. to 5 p.m. The center is open from 10 a.m. to 4 p.m. You can visit their website at www.yadkinarts.org or call 336.679.2941 for more information. Forsyth Magazines writer since 2012. 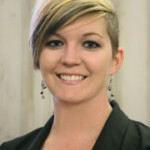 Lindsay grew up in both Winston-Salem and Pilot Mountain and attended Appalachian State University. She holds a double major in journalism and advertising. She is the cultural arts center director and theatre manager for the Yadkin Cultural Arts Center in Yadkinville and lives with her boyfriend, Matt, with whom she’s been dating for 12 years. Together, they share a puggle named Alba and a cat named Beck. In her spare time, Lindsay enjoys going to concerts and plays, watching comedians, reading, music and crafts. She loves horror movies and has a knack for movie trivia. Her column, Life Hacks, is among the most popular columns in Forsyth Woman! “I love all the people I get to meet through writing about local businesses and the fun of getting to tell the stories of the awesome people and events that are always happening in Forsyth County,” said Lindsay.